Turn of the Century Style is a fascinating and colourful guide to all aspects of decoration and design in the late-Victorian and early-Edwardian home. Packed with full colour illustrations and photographs, the book shows the choices available to consumers during this period. 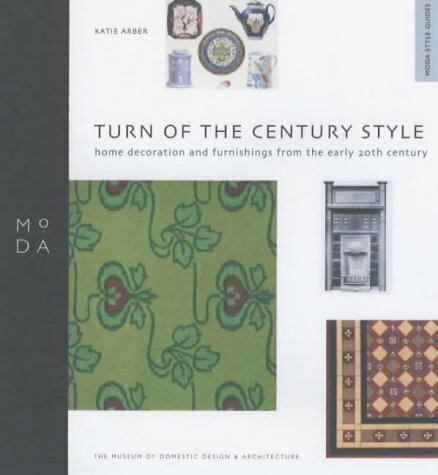 Katie Arber has drawn on MoDA's extensive collection of retail and trade catalogues, domestic magazines and household manuals to produce a vibrant and beautifully illustrated guide to the turn-of-the-century interior. Intended for anyone who wants to restore original features in an Edwardian house, or simply to create the light gentility of that period in a modern home, this book looks at each room in turn, as well as the exterior and garden, in terms of how it was then and how antique and modern furniture, funishings and fittings can be used to recreate the setting. The book contains source material from contemporary catalogues, together with photographs of houses and finished rooms in Britain, Europe, North America and Australia. Major trends of the Edwardian period - including the Arts and Crafts Movement, Art Nouveau and the Queen Anne Revival - are all featured, with the work of architects such as Lutyens and Rennie Mackintosh, gardeners such as Gertrude Jekyll, and design houses such as Liberty and Heals. This book covers the decorative housebuilding period in British history, resulting in the growth of the leafy, middle-class suburbs. Edwardian houses today represent some of the most desirable homes available in urban areas, but little is known of the social, cultural and architectural background. Helen Long examines a wide variety of different factors influencing the appearance and structure of these houses - from popular home decoration magazines and household instruction books, to the new Ideal Home exhibitions. 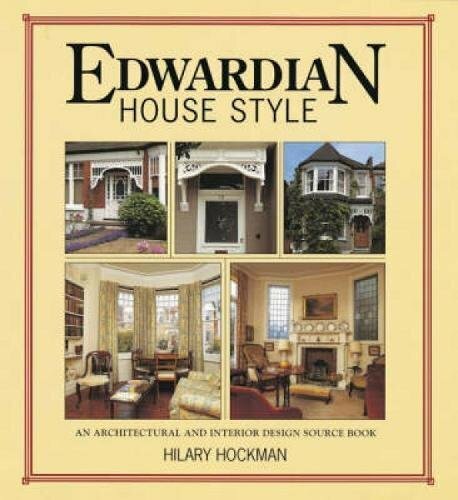 The first part of the book looks at Edwardian society, the general background to the design of Edwardian houses and the ways in which people originally decorated and lived in them. The second part looks in more detail at the enormous range of decorative fittings available and the cultural, technical and economic reasons behind the design choices that were made. All aspects of the interior are described and illustrated, from fireplaces to doorways; windows to light fittings, and wallcovering to bathrooms. This book includes a guide to investigating the history of the Edwardian home. It should appeal to the many people who live in these popular houses today and who wish to understand more about the processes by which their home came to exist and the reasons why their house displays certain decorative features.